In this Essential Oils 101 article I share everything you need to know to learn how to use essential oils like a pro. 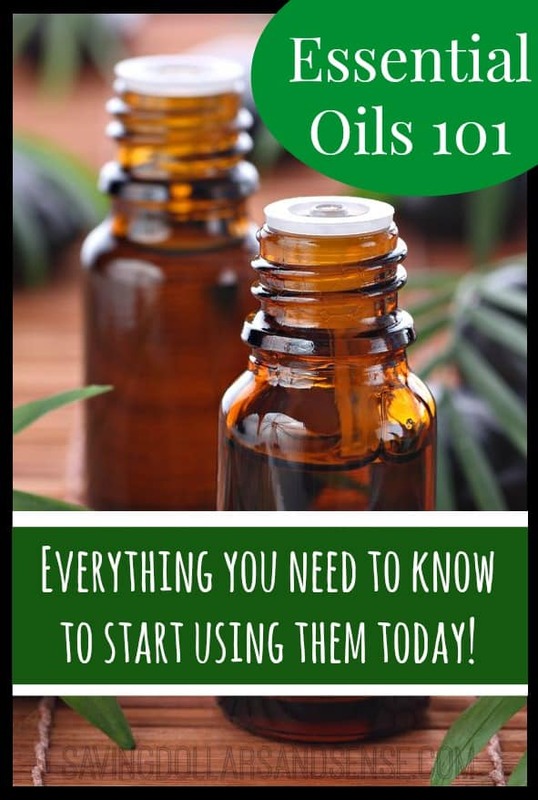 Essential Oils 101 makes it so easy to get started right away! Several years ago, after a few health scares, I decided I needed to learn all that I could about different things I could do to support my health and avoid future possible health scares. I learned a lot of things in my life needed to change. I changed the foods I ate and started to drink a lot more water. I eliminated things that were causing my body to rebel against me and my cells to go rogue, and began replacing things I would buy at the drug store with products I could easily make at home without all of the dangerous ingredients. 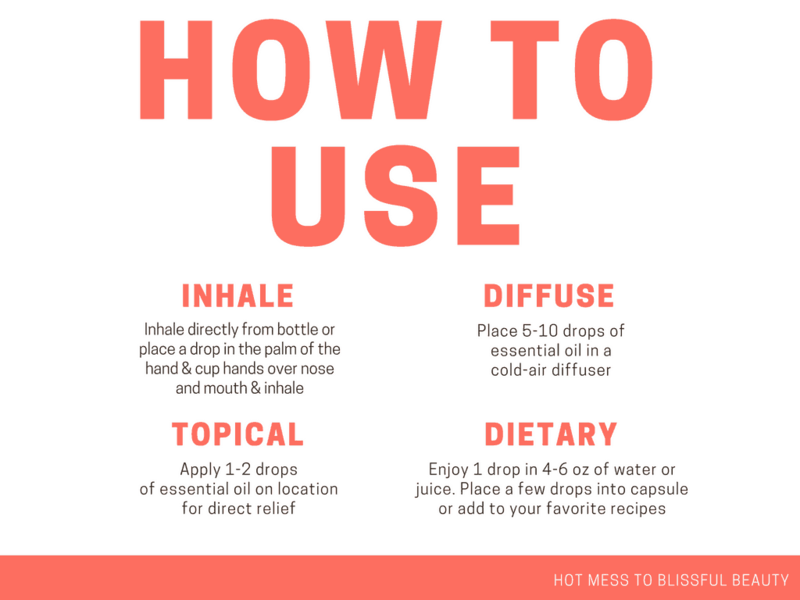 Essential Oils are pretty amazing, but there are just a few things you need to know about them to ensure you have the most success adding them into your health and wellness routine. I am going to share some information with you about just what are essential oils and what are essential oils for? You’ll also learn how to use essential oils safely and how I save money on essential oils. Because I love using these essential oils in my home so much and I know you will too, I am giving away over $50 in essential oil products to help you get started on your own path to wellness. While I am still so new to the world of Essential Oils I am amazed almost daily all the ways I have already incorporated them into our lives. Essential Oils are the volatile liquids and aromatic compounds that are distilled or pressed from plants. Like the blood in the body, the essential oil of a plant is used to seal a cut, protect the wound, provide nutrients and oxygen for cell regeneration and guard against harmful microorganisms. Topically – Apply directly to your skin on the desired areas using 1-3 drops of oil. Some areas to use essential oils include: feet, outside of ears, wrists, neck and skull. Many times you’ll want to dilute your oil with a carrier oil like coconut oil, grapeseed oil or even olive oil. It’s important to read your labels and get a good reference guide to help you know exactly where an oil will work best and if it needs to be diluted. *Saving Dollars and Sense Tip: I offer free Essential Oils Reference Materials (along with lots of other freebies) when you choose to sign up for your wholesale account through me. Aromatically – Just inhaling the essential oils can offer so many health benefits. I use a diffuser to put the essential oils in the air. You can also smell directly from the bottle or place a few drops on a cotton ball and place it near an air vent in you home or car. *Saving Dollars and Sense Tip: You can get a FREE Home Diffuser valued at $90+ when you order the premium starter kit which also come with 11 bottle of the most popular essential oils, education literature and samples. 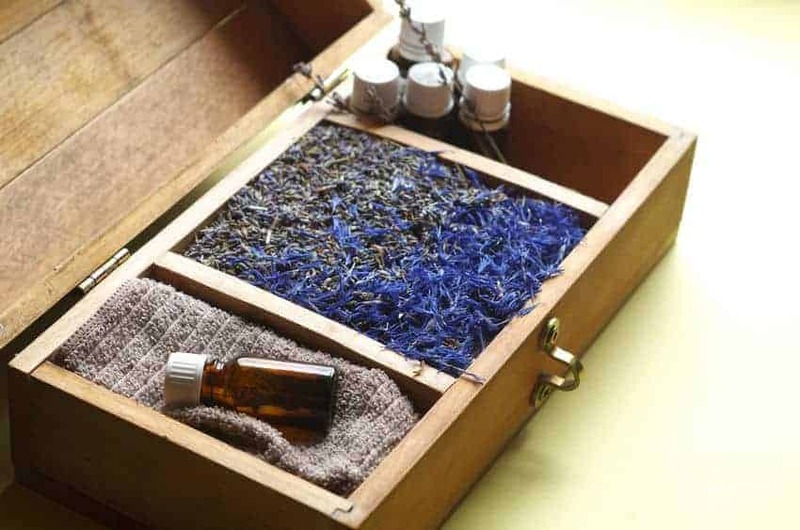 Internally – There are some essential oils that you can take internally which means in food, water or in a vegetable capsule like these ones here. Make sure to read the label on your essential oil bottle before consuming to see if it is labeled as a dietary supplement. If it doesn’t have dietary supplement on the label it’s not safe to ingest. Everyone’s body chemistry is different so what works for one person may not be the perfect fit for another. It’s important to go slowly when starting with essential oils. Sometimes using essential oils for the first time can cause a detoxification to happen which can result in headache, rash, or nausea. If this happens I suggest reducing the amount of oils used as well as how often until you have given your body time to get used to them. Also make sure you are drinking lots of water while using essential oils to help flush out the toxins from your body. Why I chose Young Living over other oils? Young Living is the only company that I have found that’s directly in charge of the farming, growing, distilling, and bottling of oils themselves. It’s part of their Seed To Seal guarantee and I have not found another company that does the same. There are many claims of purity and therapeutic-grade out there, but I can actually visit the Young Living farms and see their commitment to purity first-hand. I’ve looked at the websites of the other oil companies that claim to be therapeutic-grade and many of them don’t even list the exact species of the plant used for the oil or where the plant is grown (both very important pieces of information). There is certainly an element of trust no matter which company you end up going with. But since I could visit the Young Living farms (and have friends who had visited), and Young Living was in charge of the entire process, including weeding by hand and pest control with essential oils, I felt more comfortable putting my trust in Young Living. 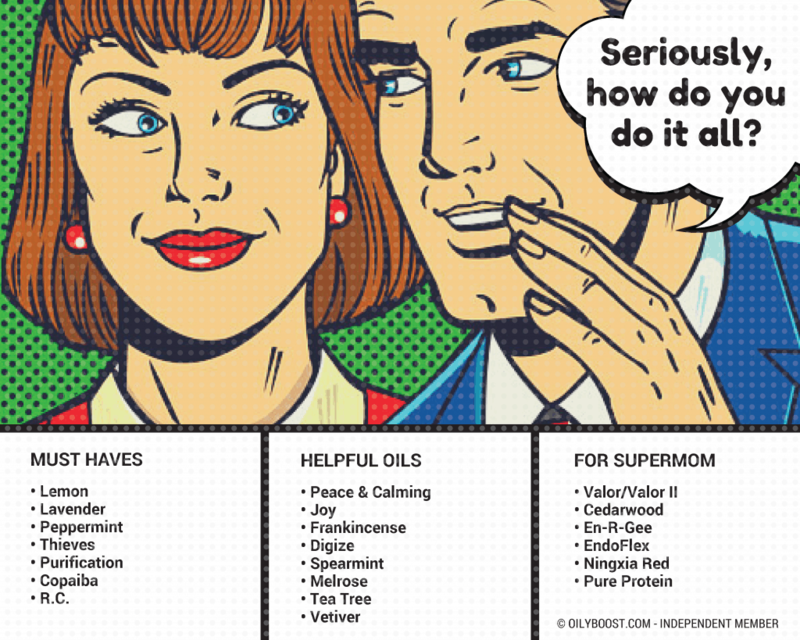 What I am loving the most since adding essential oils to our home is that I never have to run to the drugstore, and I am feeling much more confident in my abilities to treat any ailments that might show up using the oils I got in my Premium Starter Kit. I have slowly replaced our medicines as well as household cleaners with Essential Oils. I also have a couple that I am using to help with mental clarity, focus and stress relief. 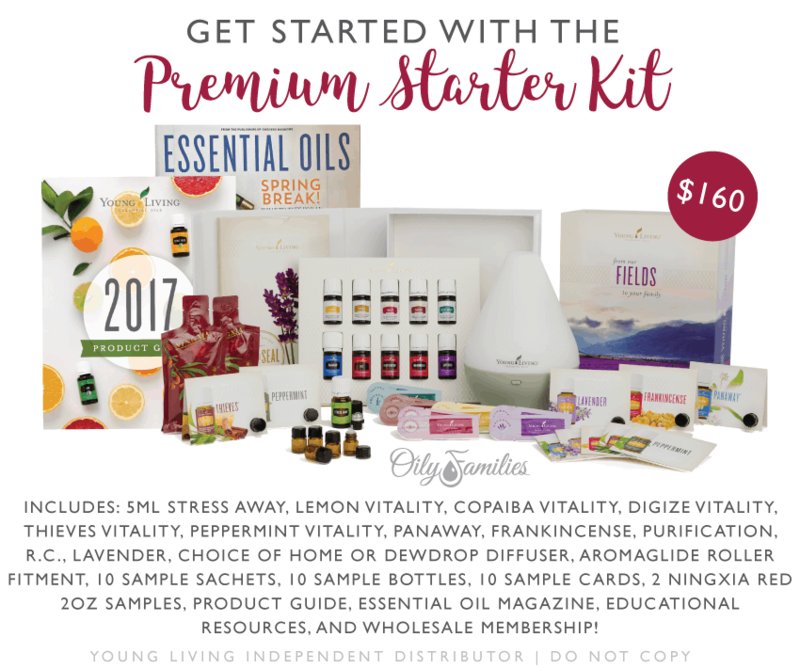 If you are interested in picking up a kit, I highly suggest the Premium Starter Kit which includes all of the oils listed above along with several awesome Freebies! Order the Premium Starter Kit and I will send you a Welcome Package from me that includes some of my favorite things and LOTS of reference materials to help you get started successfully right away! Hi, you mention that I can listen to your audio???!! The world is not full of hearing people, there are deaf people like me, how can I listen to it. I am trying to find good deal with the right price as a beginner but for now I couldn’t afford one over 100 dollars. Your word “listen” got my attention. That’s why I want to share and remind everyone over and over. “The world is not full of hearing, there are deaf as well”. The audio is basically the same information that you can read in the post.